Simply the best and easiest! 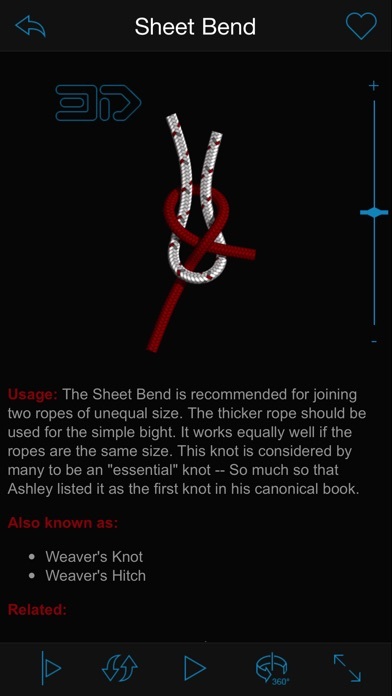 Really not much more to say, this is the very best app to use to learn a new knot. You can use others out there but why not simply get the best and easiest? Of all the Apps I have this is the best. 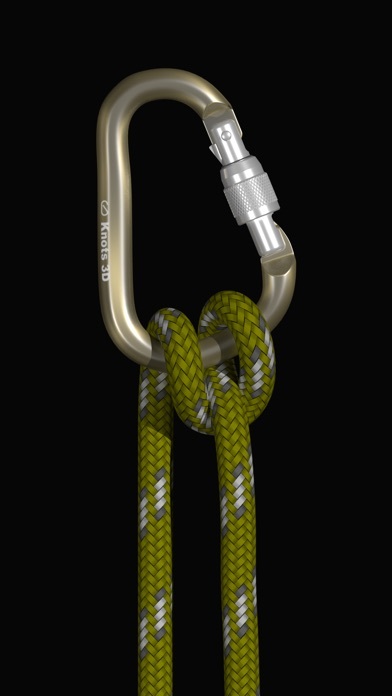 I’ve climbed trees as a young man, now I’m older and still use a lot of these knots sailing all over the world. I Also make my own horse halters. Thanks for making such a useful app! I climb trees and I use knots everyday. 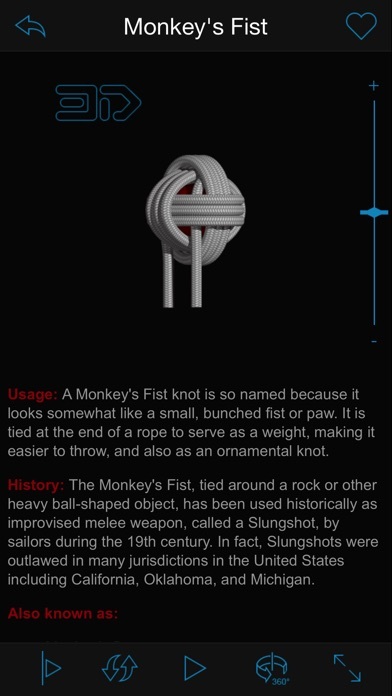 This app has helped me learn new knots and has taught me a brief history about where the knots originated from. Easy to use and offers great visuals that can be replayed or slowed down. This was the very first app I’ve ever paid for many years ago and I have to say it’s worth every penny ..I’m very happy! !Keep up the good work guys..invaluable app!! 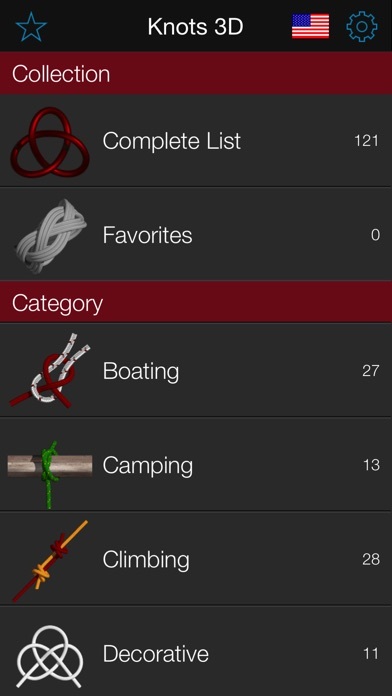 Awesome app for learning knots and very useful for Boy Scouts to help learn the knots for ranking up. Great for Scouts and for dads and moms trying to help who have forgotten all they learned as kids! 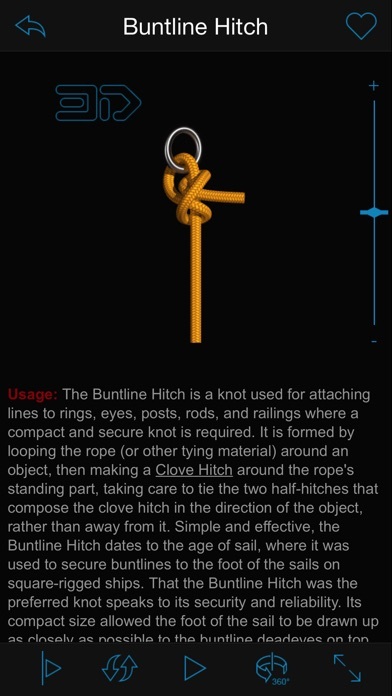 Easy to use knot tying guide. This app has more knots than I need to know. It does have all the knots that I have become accustomed to using for climbing. I have picked up a few others that may be useful as time will tell. I’m glad that I have downloaded this app. Very nice reference tool.